Ray Media Group today published an introduction to the in-depth guild system seen in the open beta release of the fantasy MMO, Alfheim Tales Online. The open beta began on December 11th and was met with a very positive response from the community thanks to its unique and colorful art style and variety of exciting features. One of these features is the guild system. Although the guilds embody many elements from the traditional MMO group setup, it also introduces a number of aspects that aren’t quite as common. Every guild is given a unique base which acts as a central hub for its members. Gather together and plan the next raid or head home solo to participate in a number of guild related quests that rewards both the individual player and the guild as a whole. 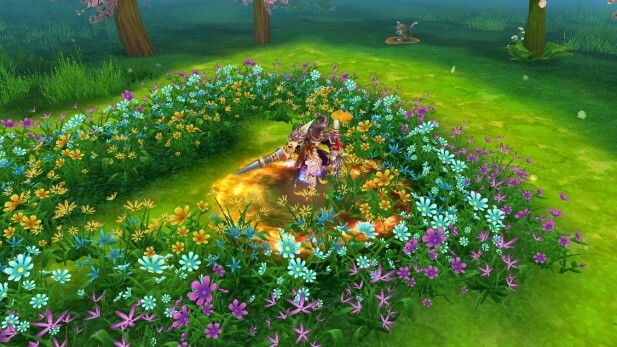 There are also a number of activities that require groups of guild members in order to complete certain objectives. These vary greatly from getting the guild together for a bit of gardening and tree planting to the summoning of Blessing Bear for an experience points boost.